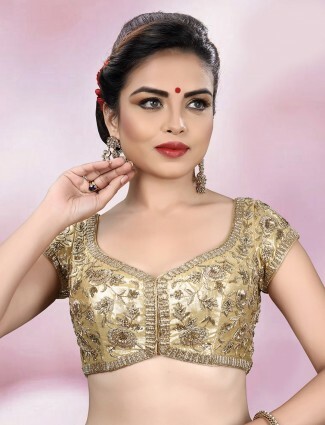 Get your fashion senses on Ladies, shop readymade saree blouse at G3+ Fashion Surat, to mix and match your sarees and lehengas with readymade blouses to compete a new and trendy fashionable look. 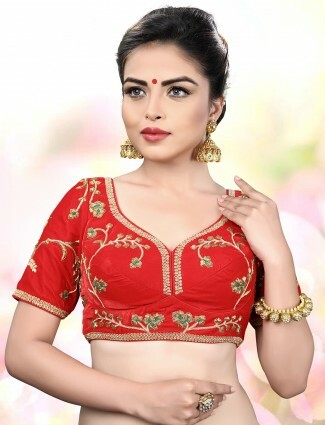 Saree Blouses online shopping gives u a wide selection from colors, fabrics, embroidery and blouse designs. 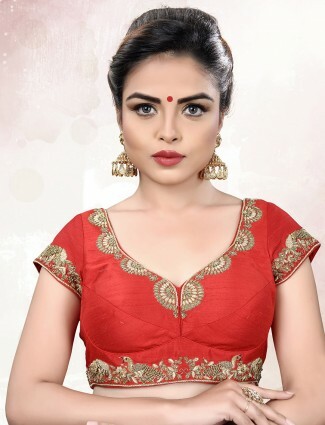 Do you have a whole lot of old saris which you do not want to part with? Then, here is one wonderful idea! 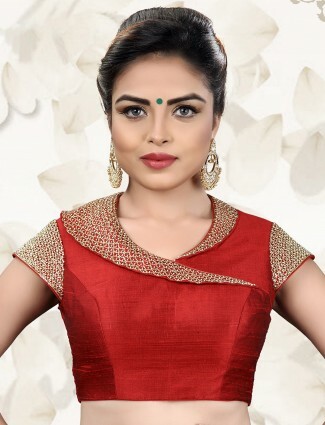 Shop for latest blouses at G3 Fashion Surat and give your old saree an entirely new look. You will definitely get people asking you about what you are wearing and from where you have bought it! 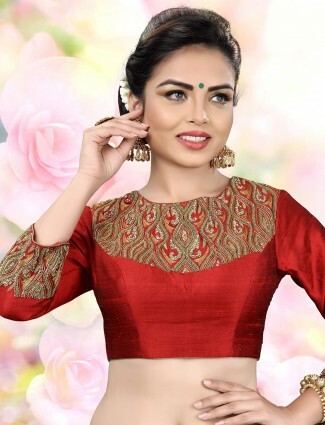 You can give your silk sarees a totally new look when you choose our readymade designer blouses.Black goes well with any color saree. 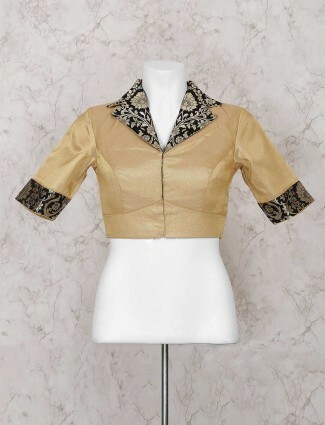 If you wish to get something trendy, you can choose the backless blouse or the floral blouses too. 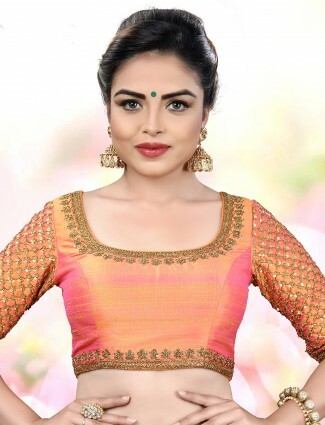 Browse through our blouse designs for silk sarees and you will be amazed to find such a huge variety. 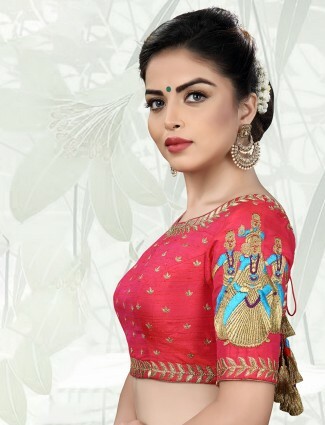 Do not stick to the idea of giving your old saris a new look. 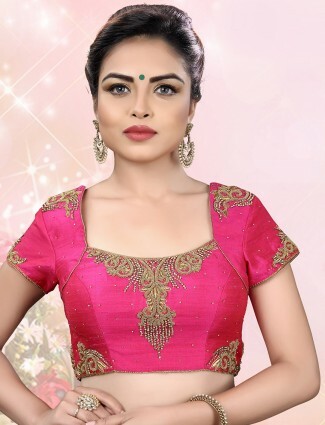 You can invest in our designer blouses for brand new sarees too. 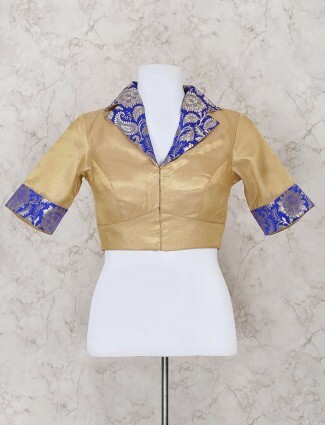 There are velvet blouse designs which when coupled with plain sarees will make you look absolutely in trend. 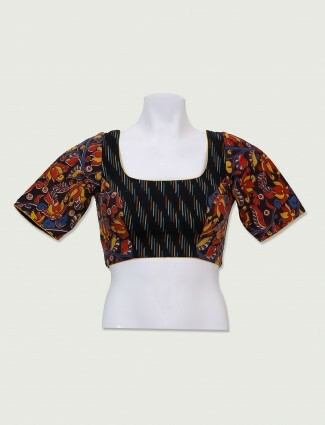 We also have designer saree blouses that will accentuate the beauty of your saree. 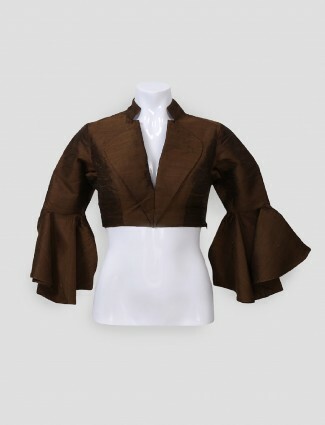 Long sleeved blouses are back with a big bang. Browse through our collection of the same and you will be surprised at the kind of choice we have. 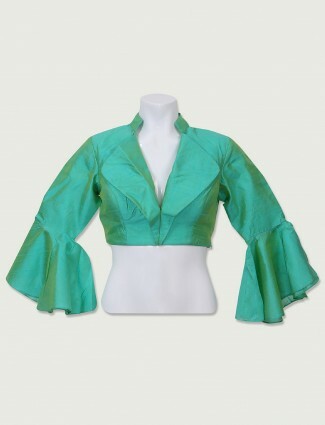 Fashions keep coming and changing but one fashion remains evergreen and it is that of the puff sleeve saree blouse. 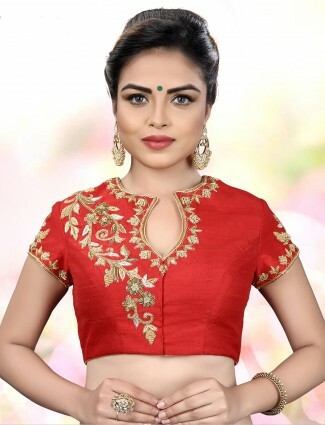 Invest in a couple of designer blouses, the silver blouses, gold saree blouse, sleeveless saree blouse, and many more fashionable blouses. 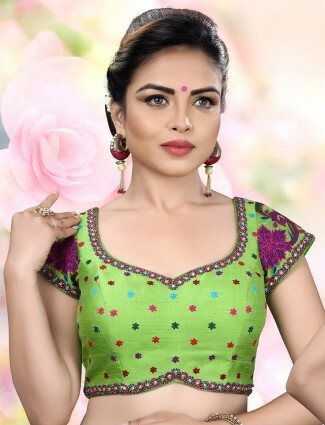 G3+ Fashion provides you with the opportunity to shop for saree blouses online and get them delivered to your doorstep. 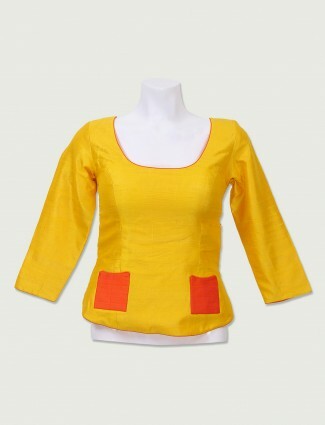 Such hassle free shopping is a definitely a boon to the shoppers. 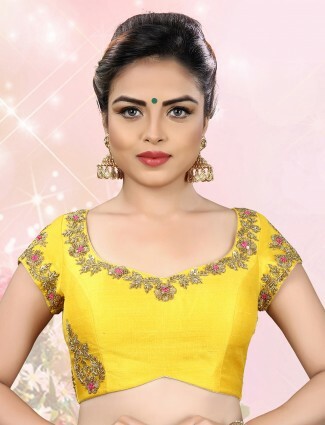 You name it and we can provide you with the perfect matching as we have designer blouses for pattu sarees and numerous wedding silk saree blouse designs too. 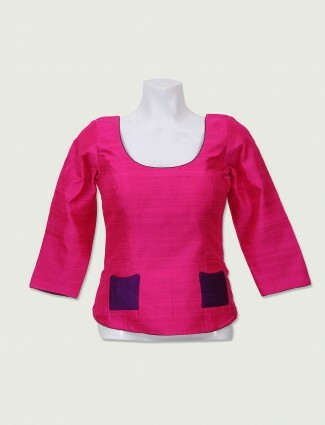 So, whatever be the occasion…grand or simple, we have the perfect choice for you in the readymade blouse segment.